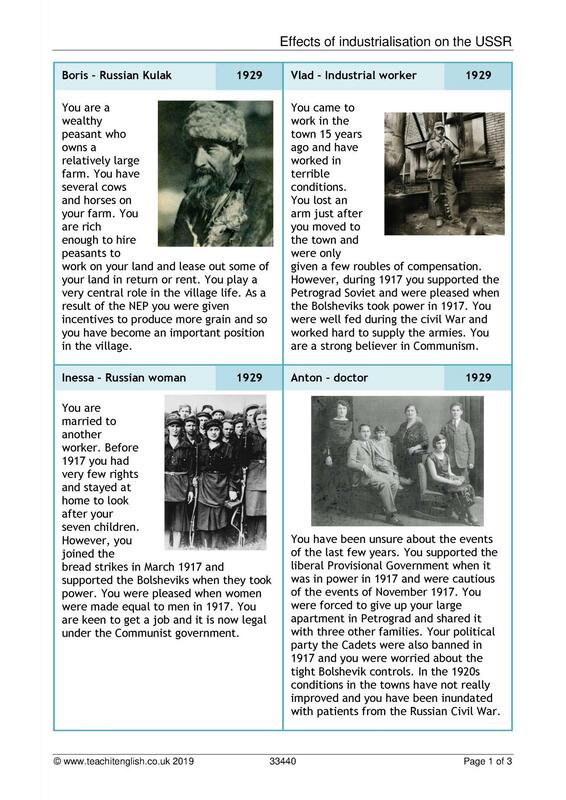 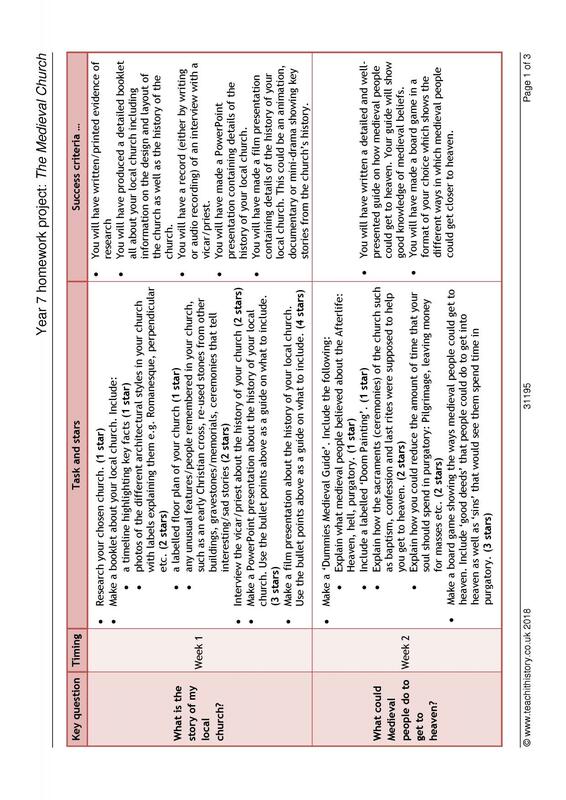 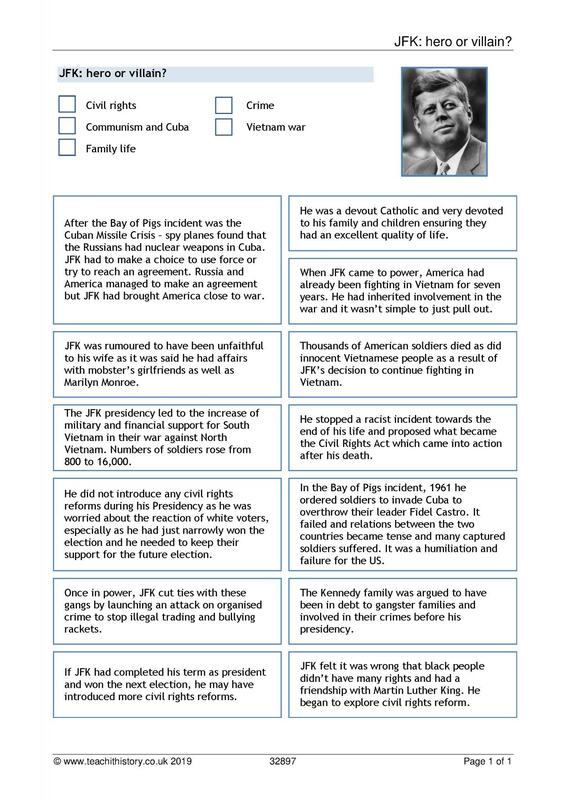 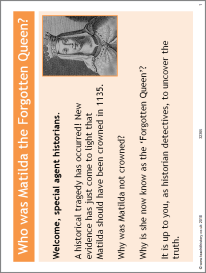 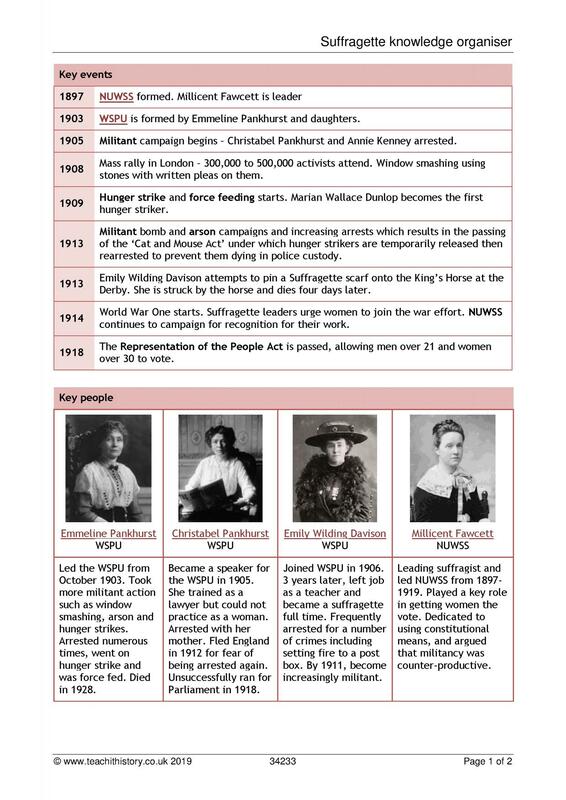 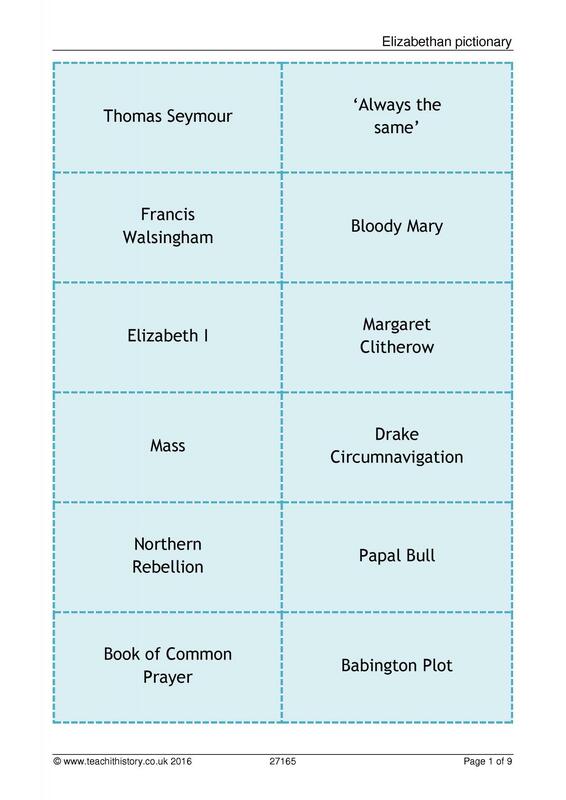 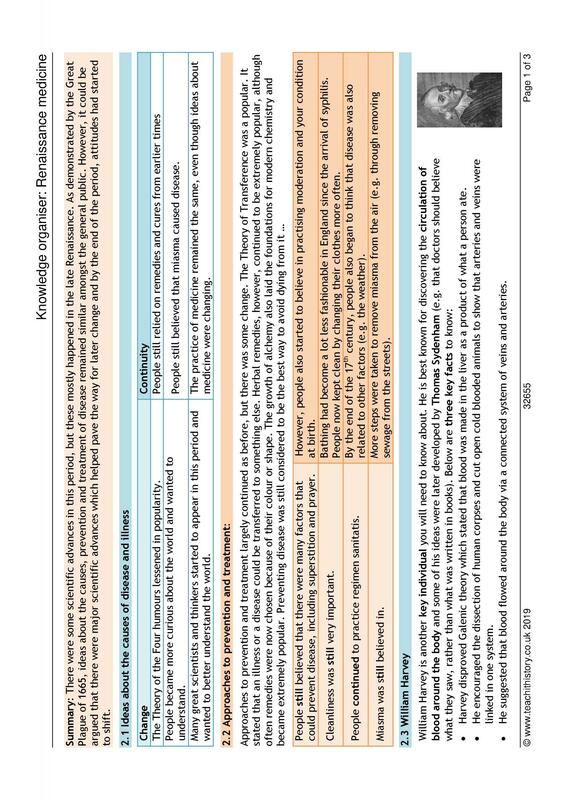 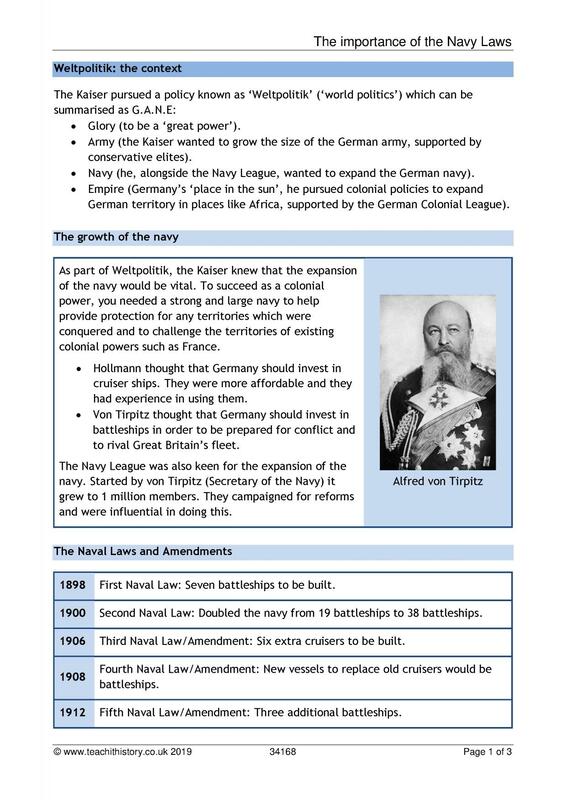 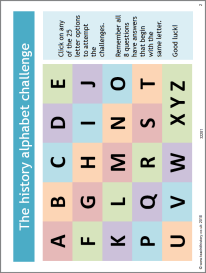 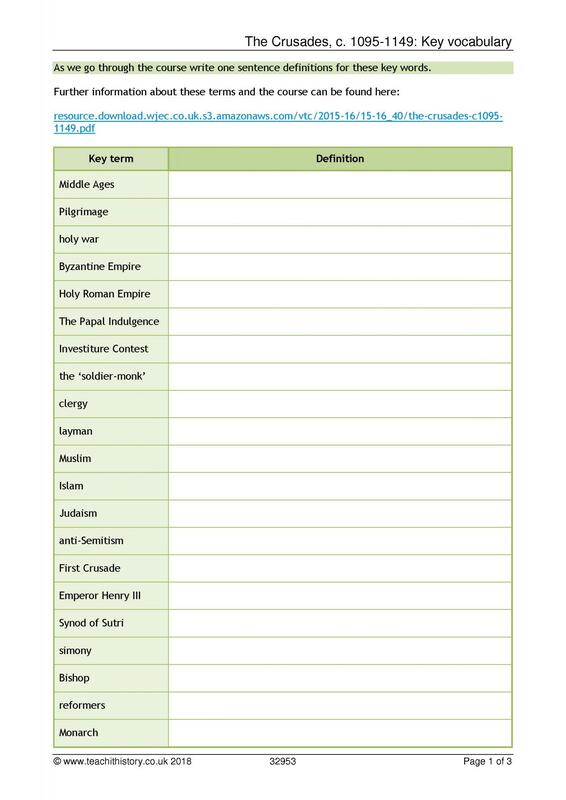 Here are our latest history teaching resources. 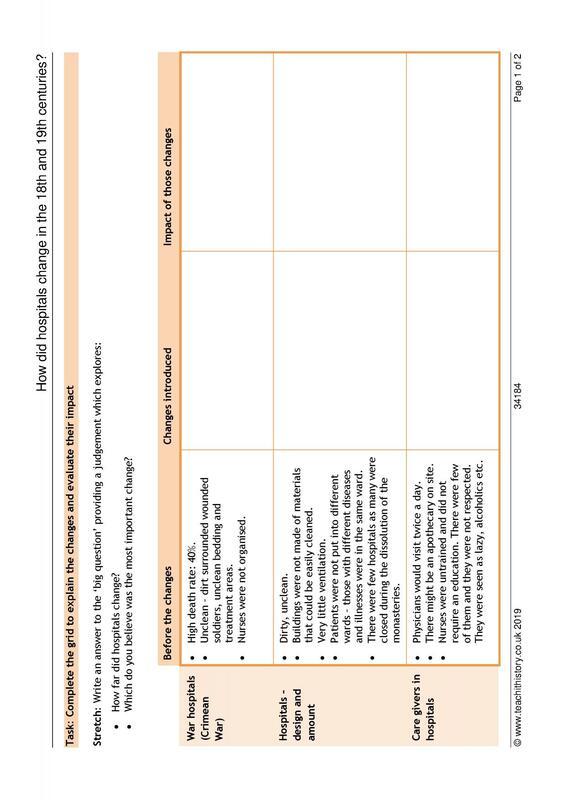 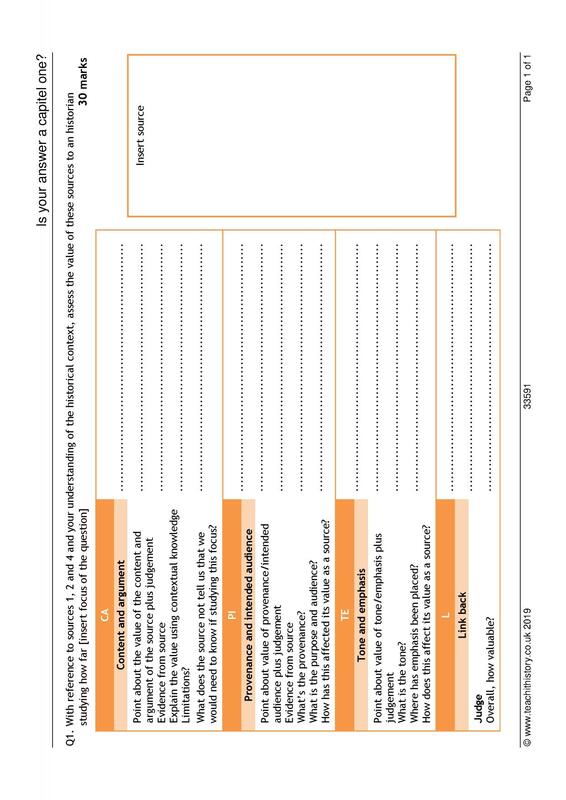 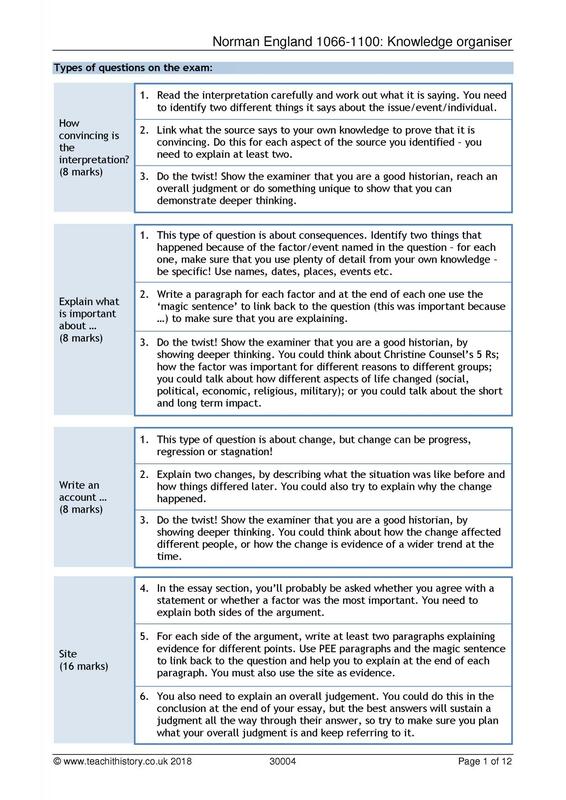 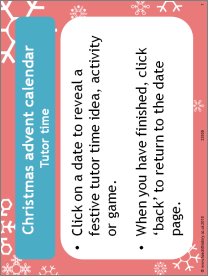 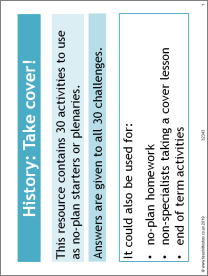 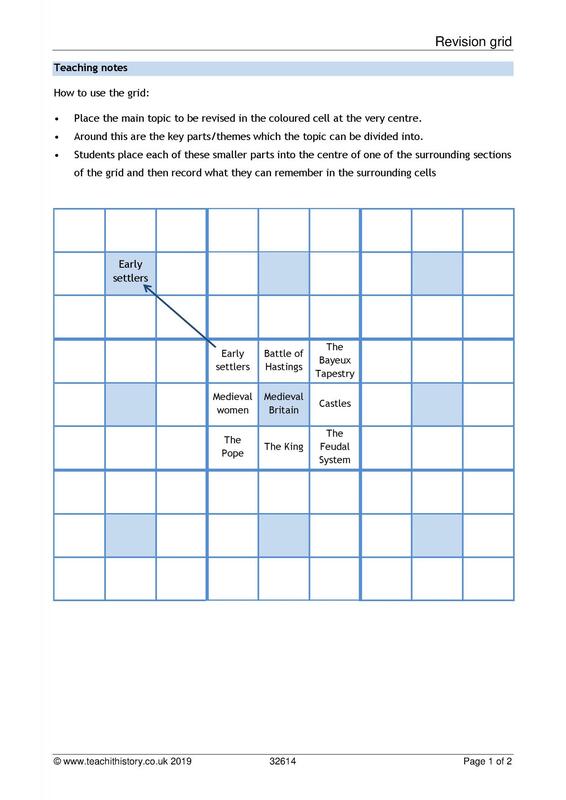 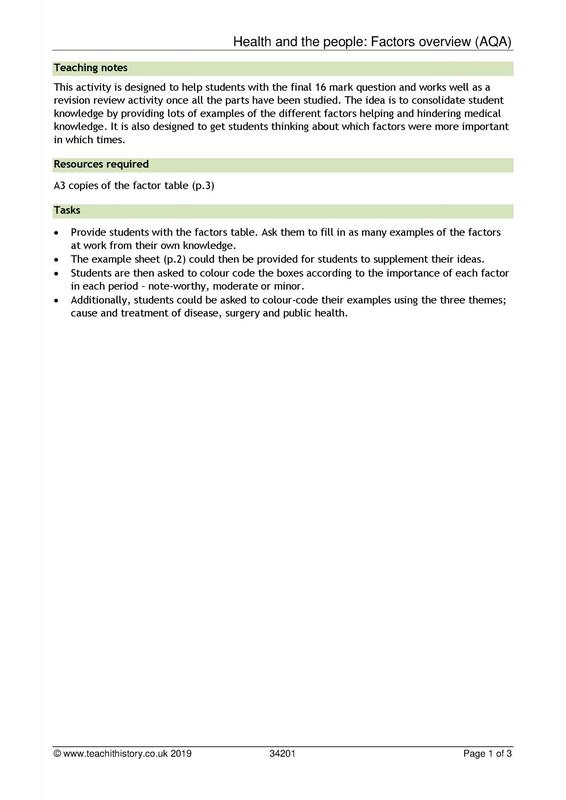 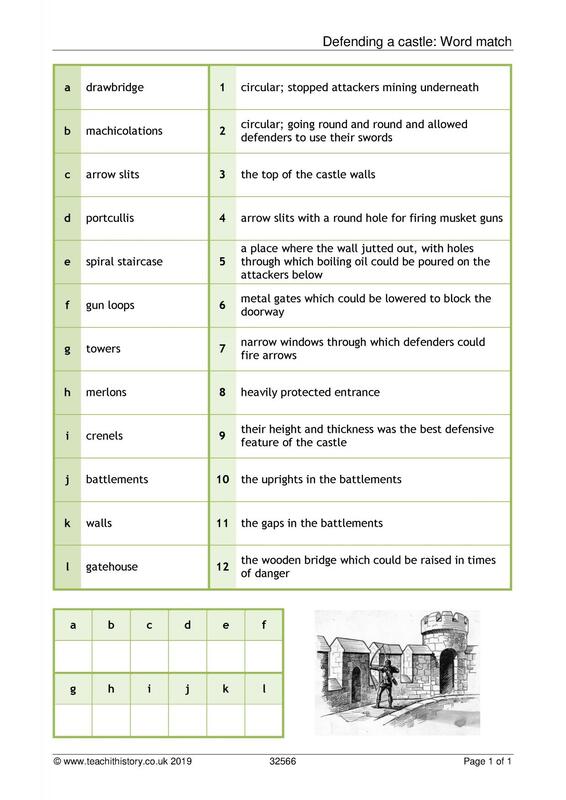 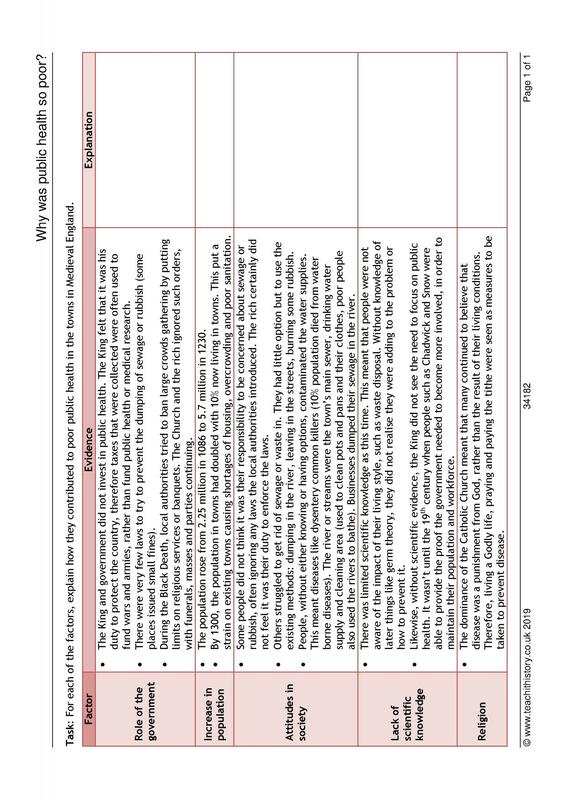 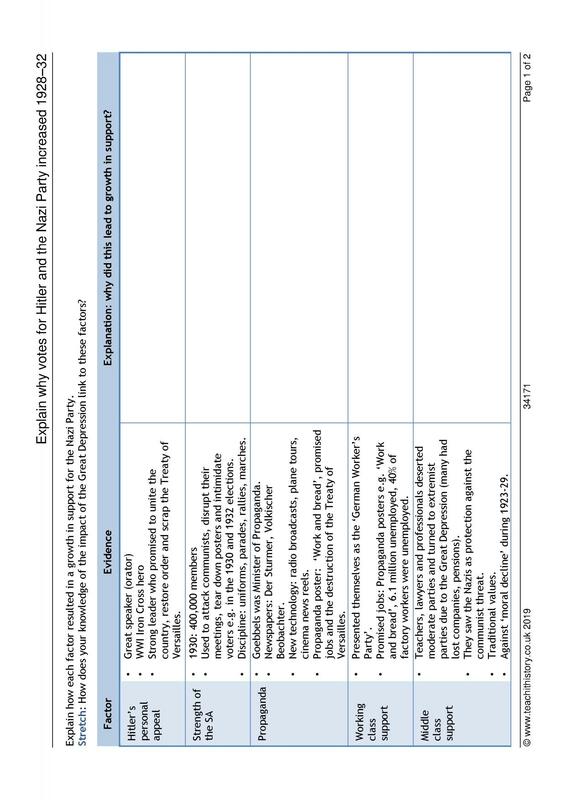 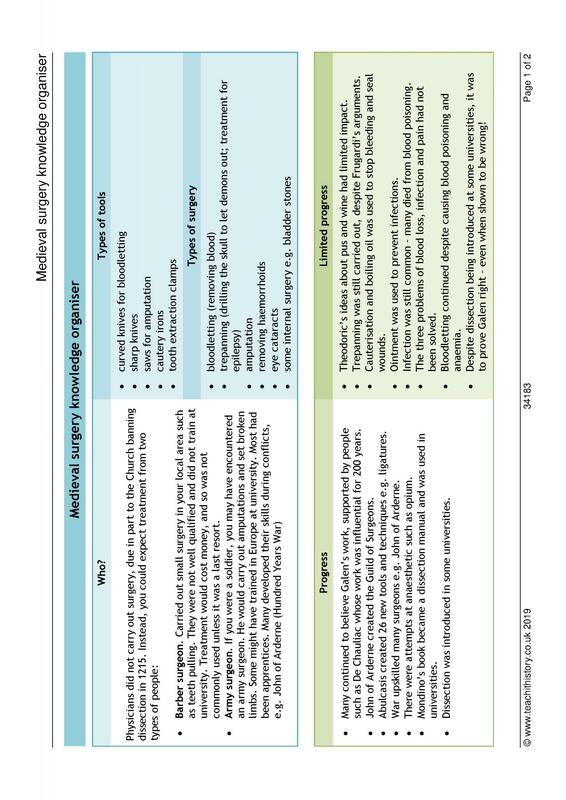 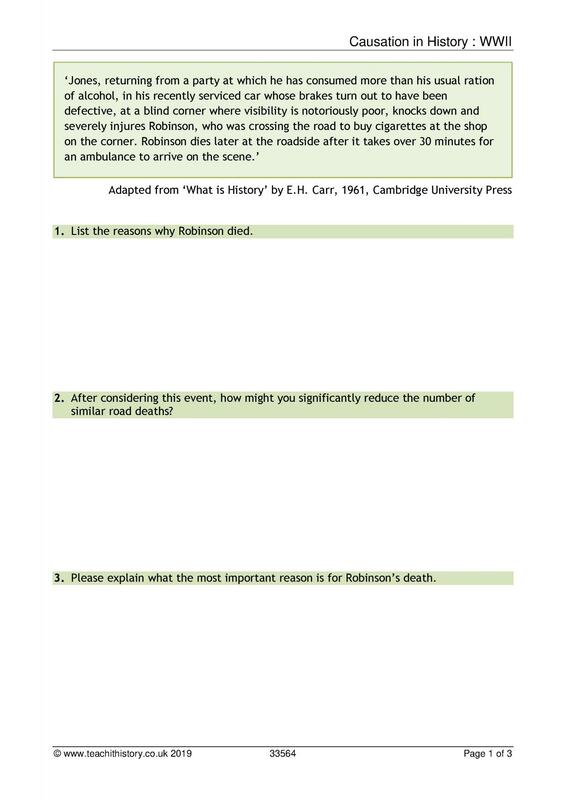 These lesson plans, activities and worksheets cover key areas of the history curriculum and are designed for key stages 3-5. 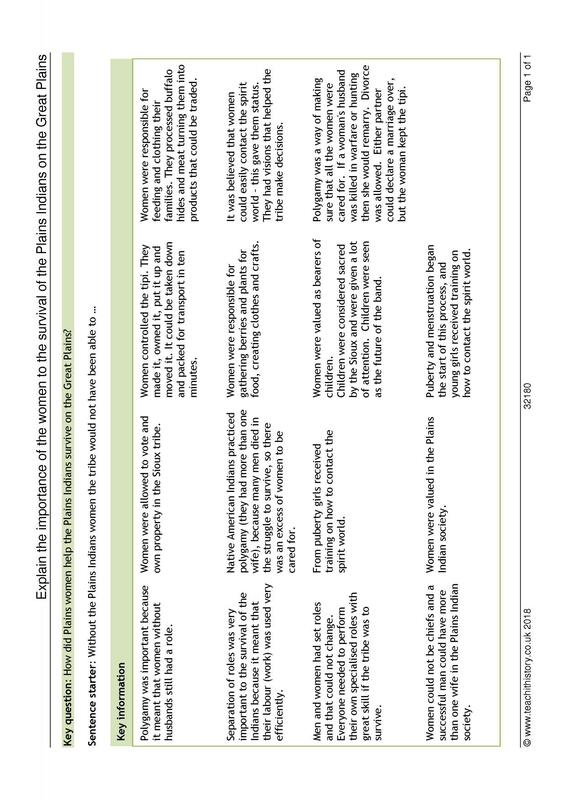 To what extent did care givers change during the Renaissance period?New! 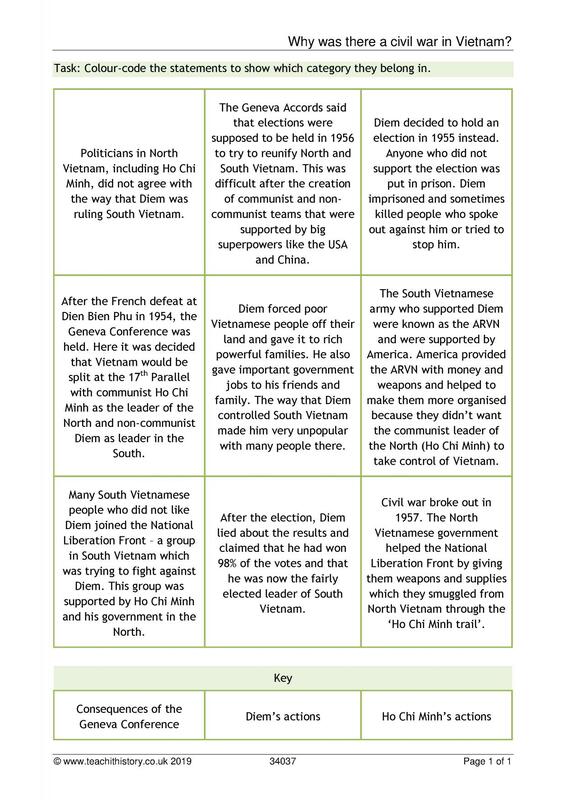 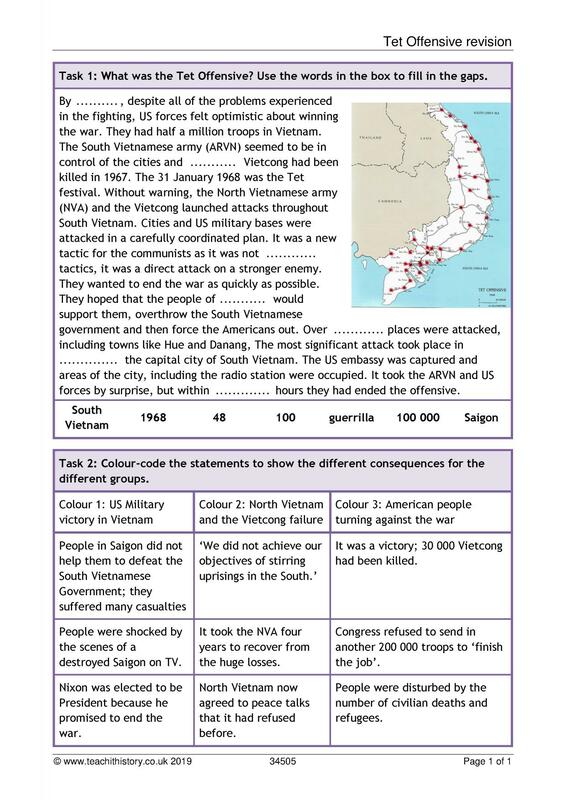 Why was there a civil war in Vietnam?New! 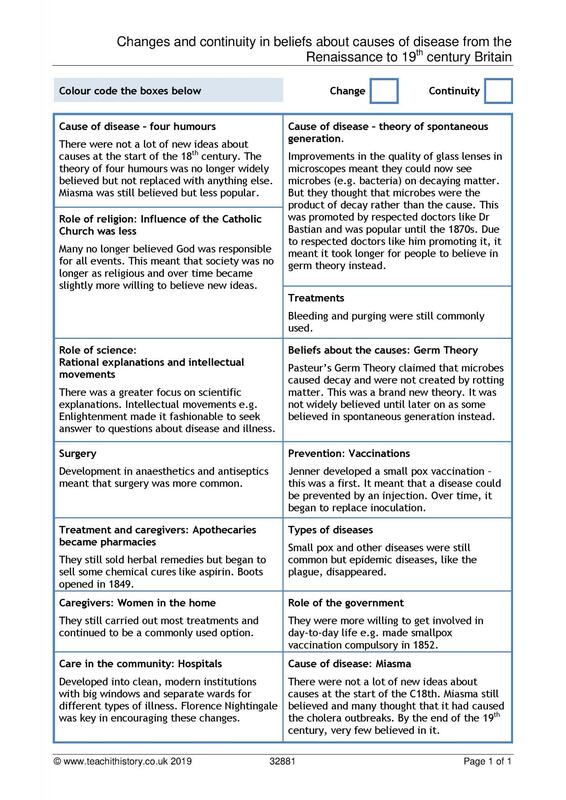 How did vaccinations develop in the 19th century?New! 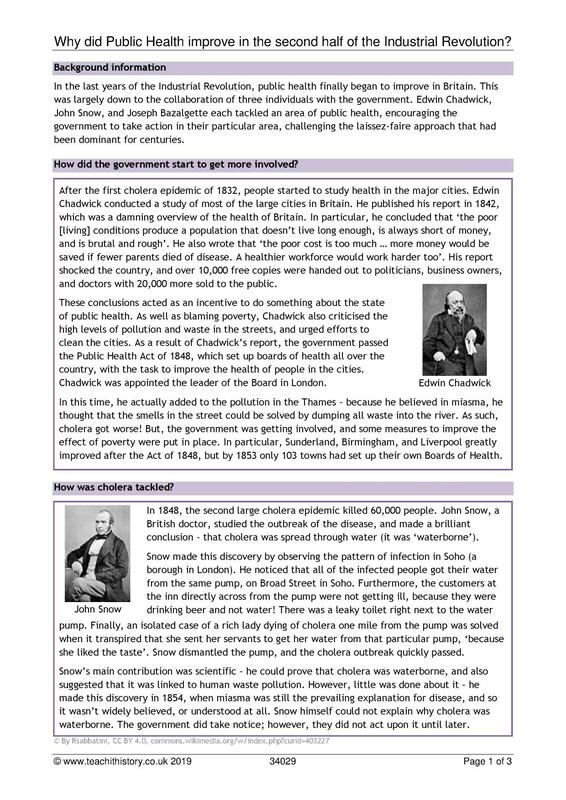 Why did the government attitude towards public health change from 1840?New! 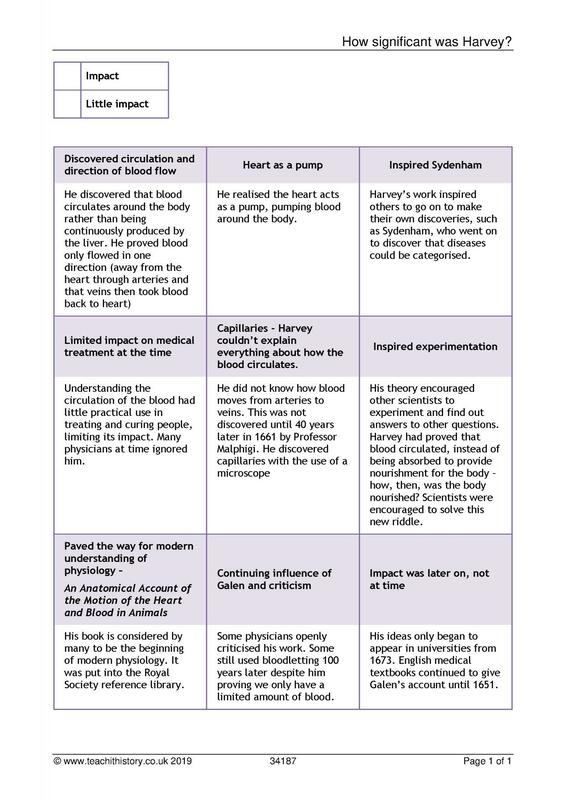 What was the most important impact that Islam had upon medicine?New! 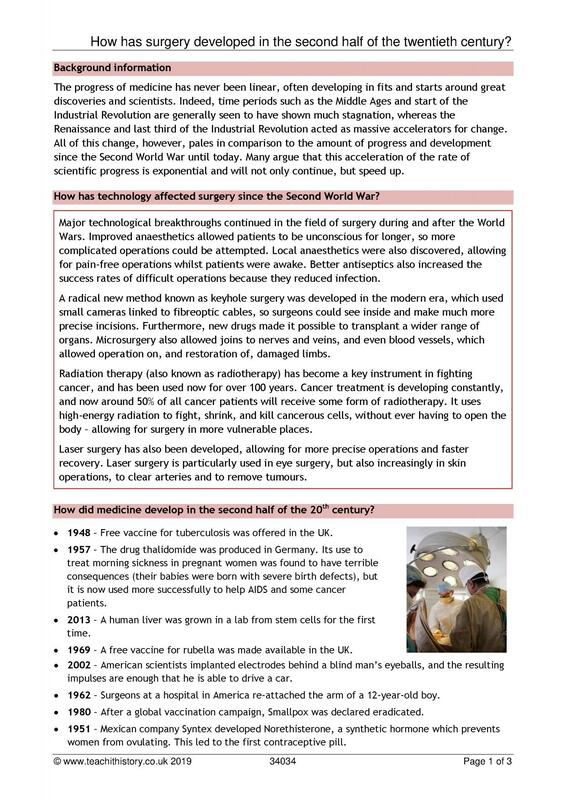 How has surgery developed in the second half of the twentieth century?New! 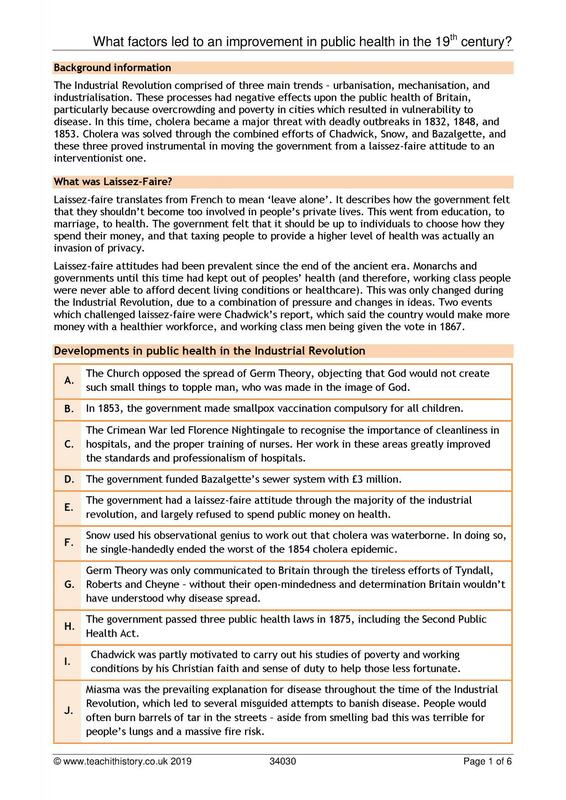 Why did Public Health improve in the second half of the Industrial Revolution?New! 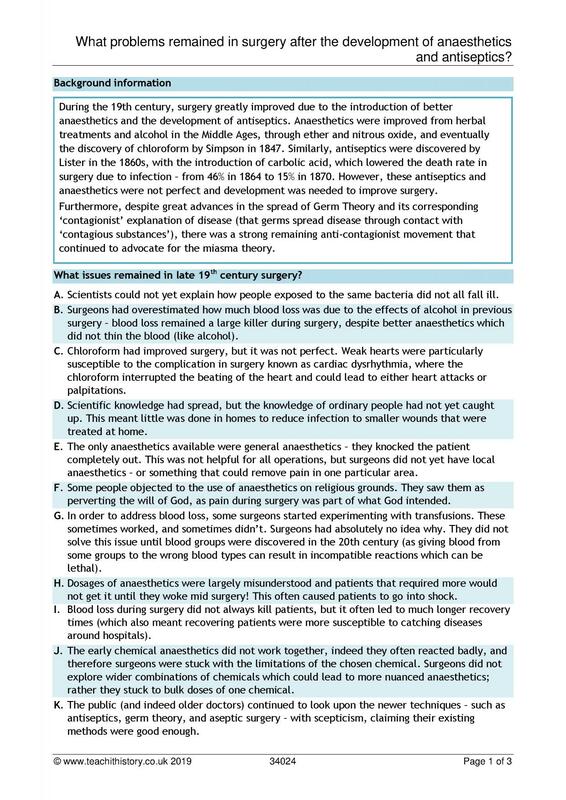 What problems remained in surgery after the development of anaesthetics and antiseptics?New! 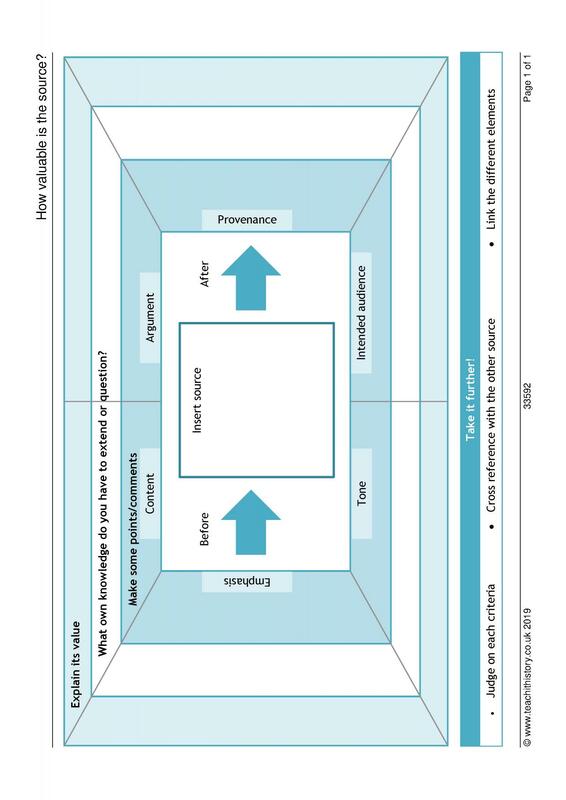 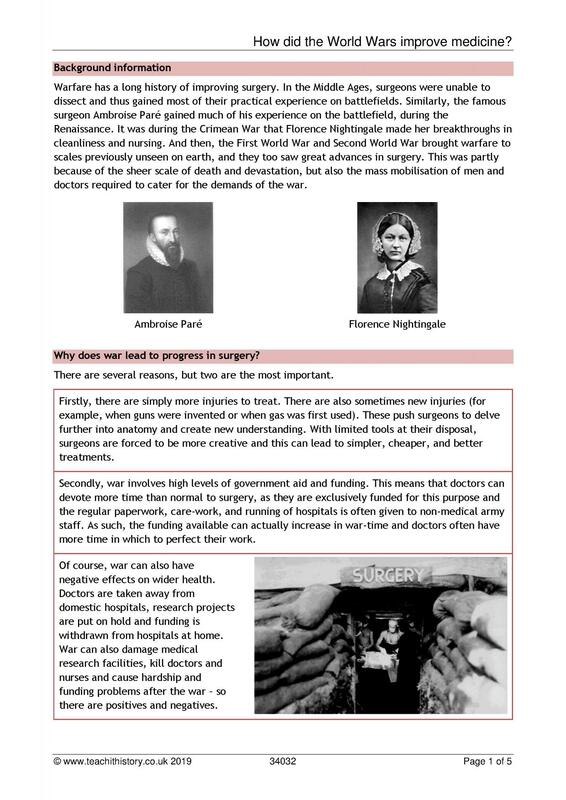 What factors led to an improvement in public health in the 19th century?New! 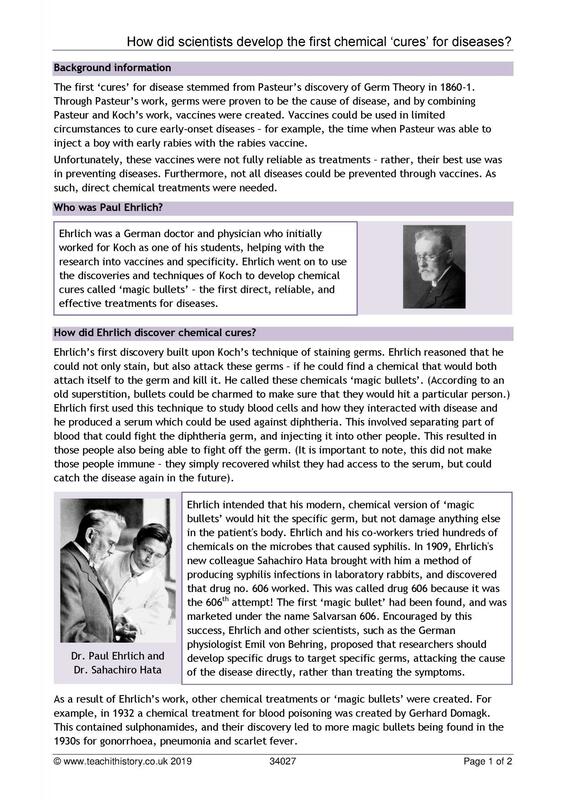 Was penicillin a ‘miracle cure’? 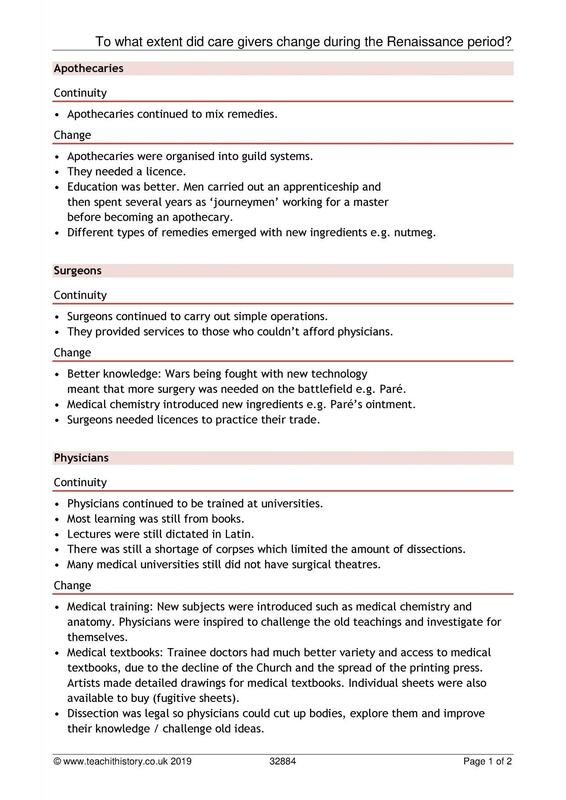 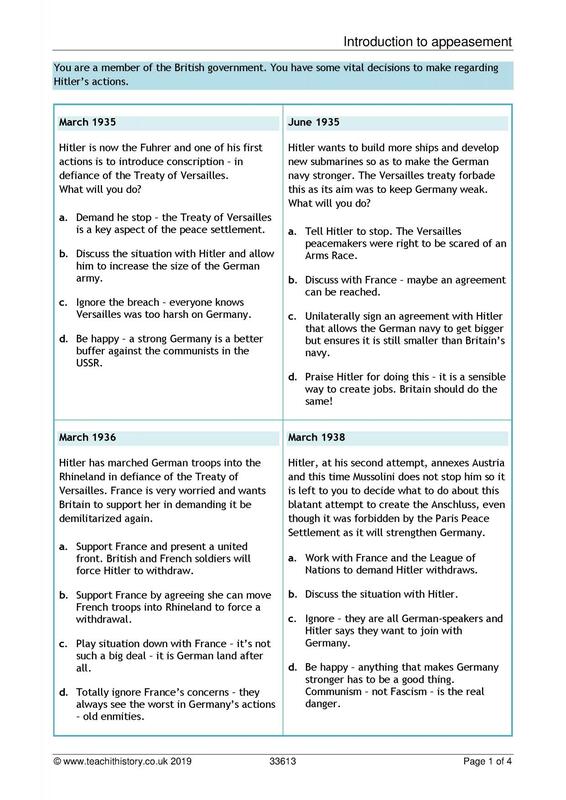 Which factors led surgery to develop during the World Wars? 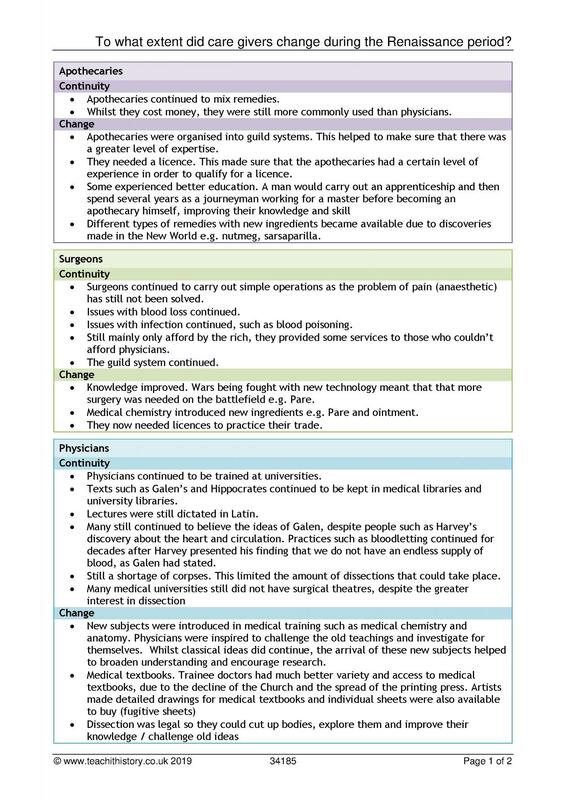 How did the World Wars improve medicine? 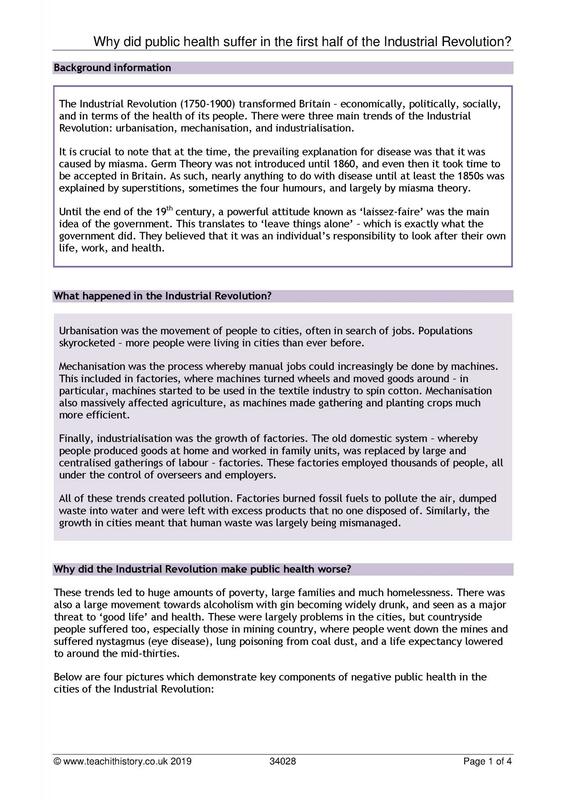 Why did public health suffer in the first half of the Industrial Revolution? 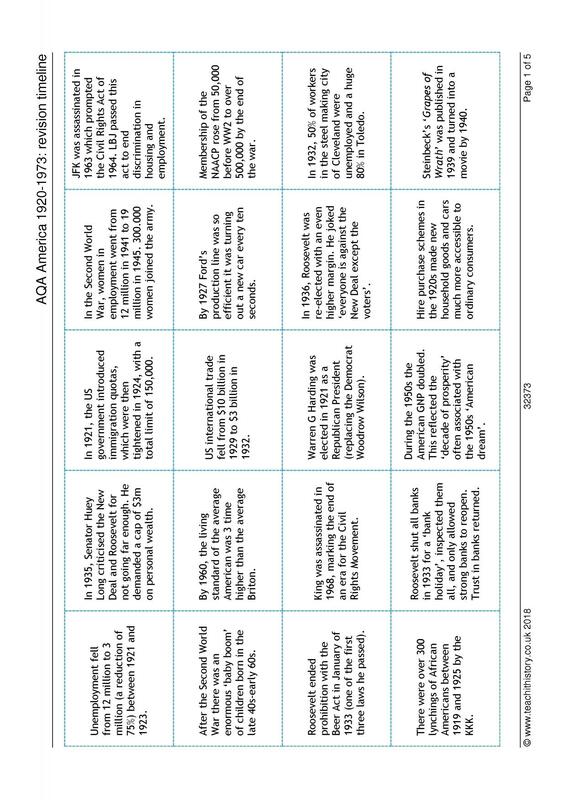 How did the Welfare State develop in twentieth century Britain? 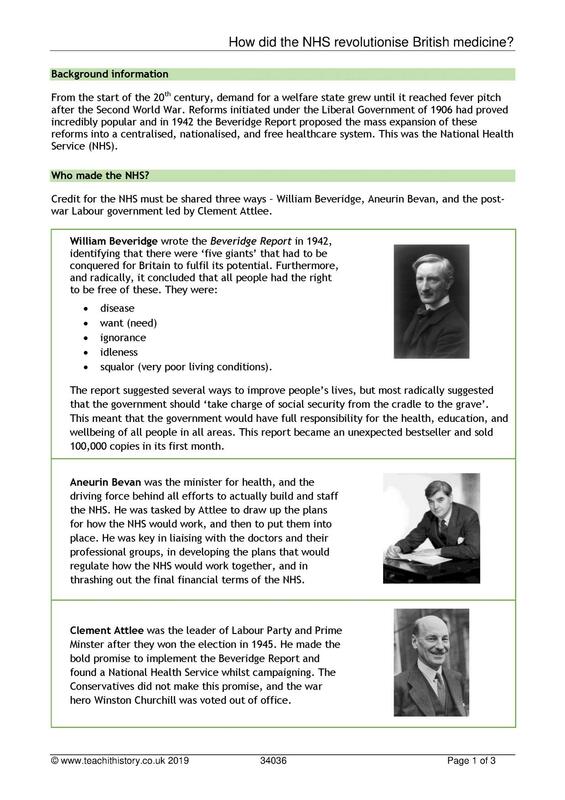 How did the NHS revolutionise British medicine? 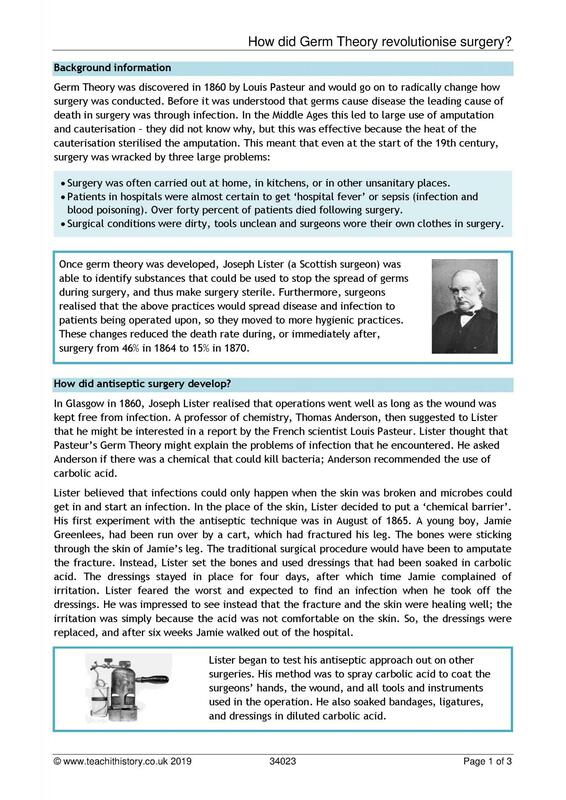 How did Germ Theory revolutionise surgery? 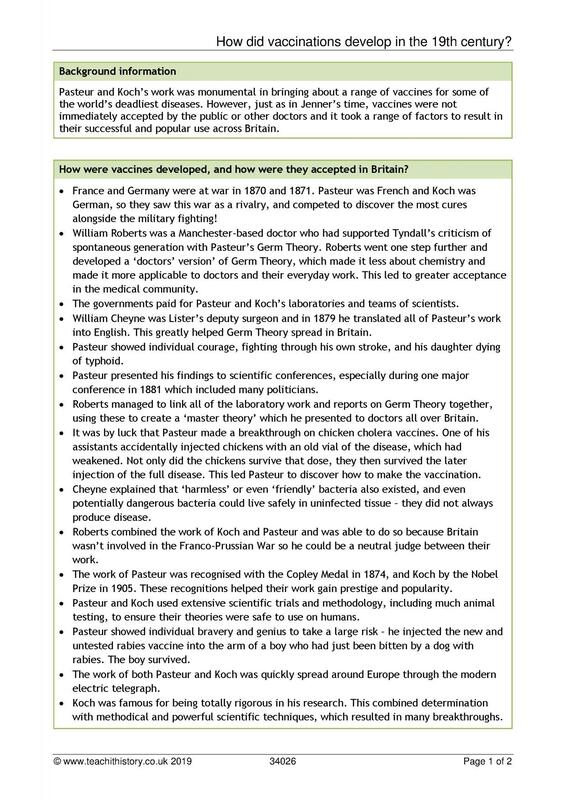 How did scientists discover that germs cause disease? 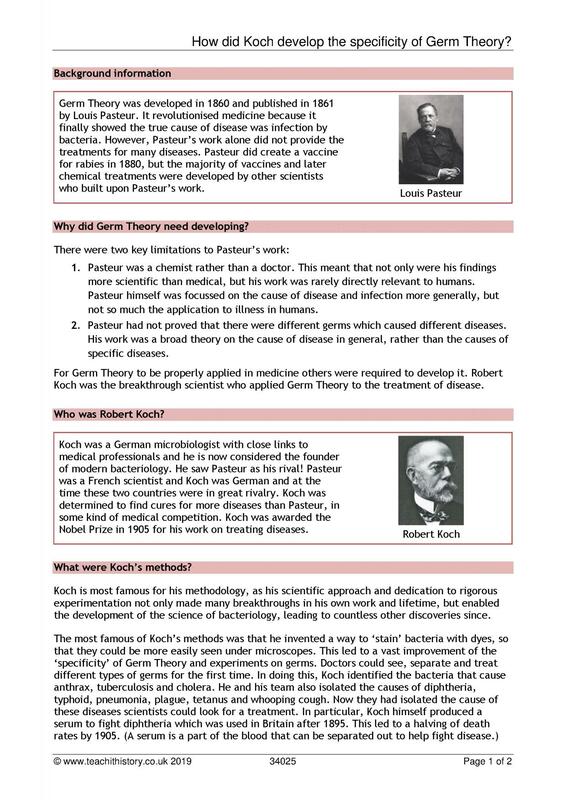 How did Koch develop the specificity of Germ Theory? 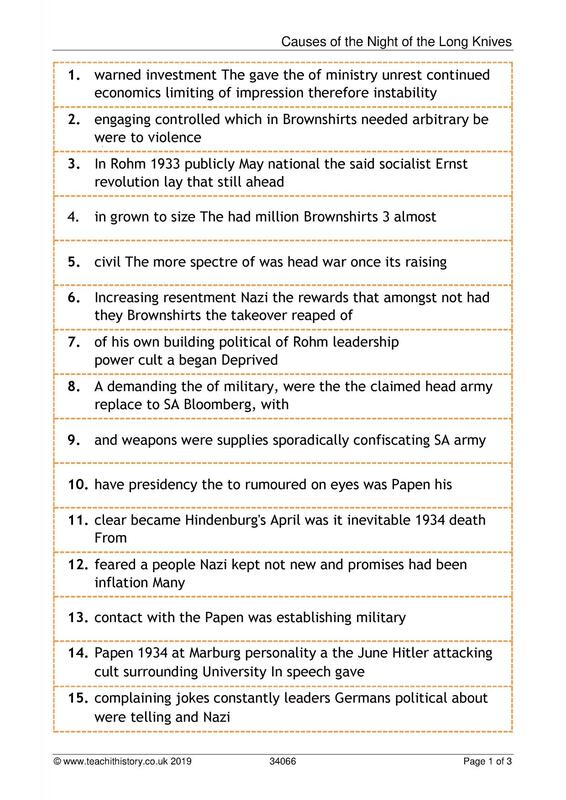 Why was 1923 a crisis year? 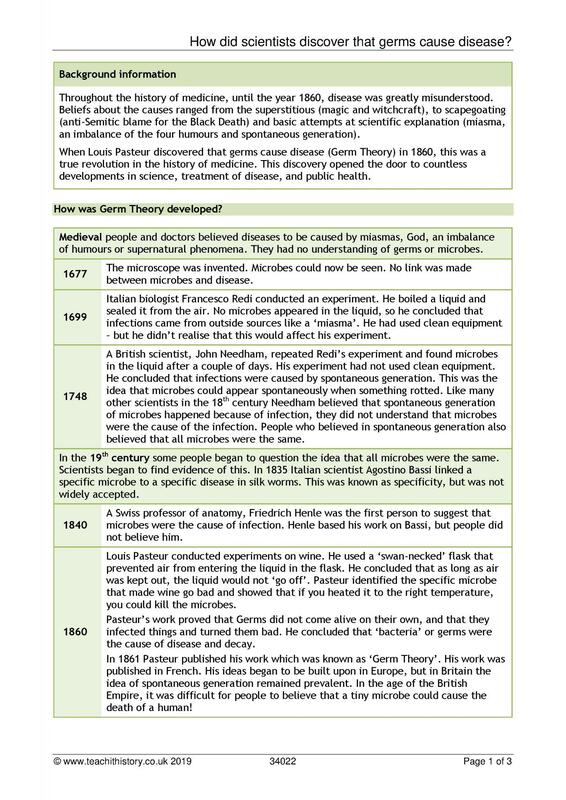 How did scientists develop the first chemical ‘cures’ for diseases? 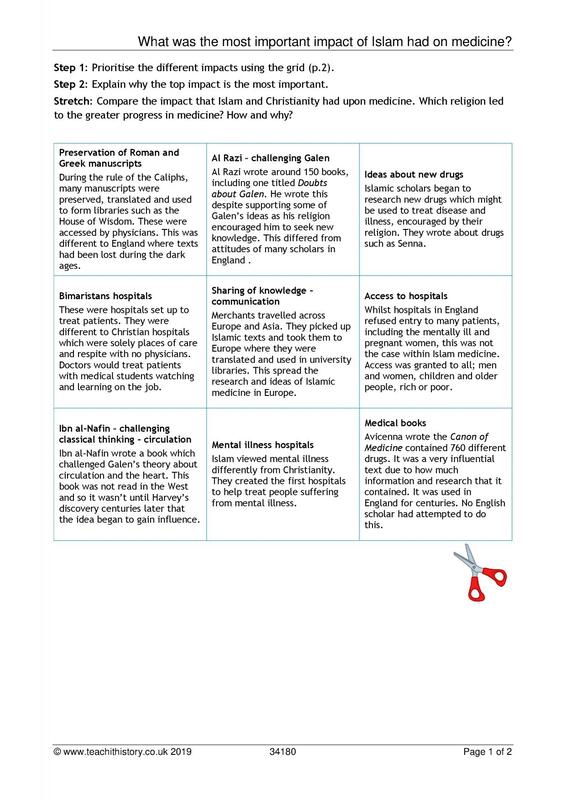 How did hospitals change in the 18th and 19th centuries? 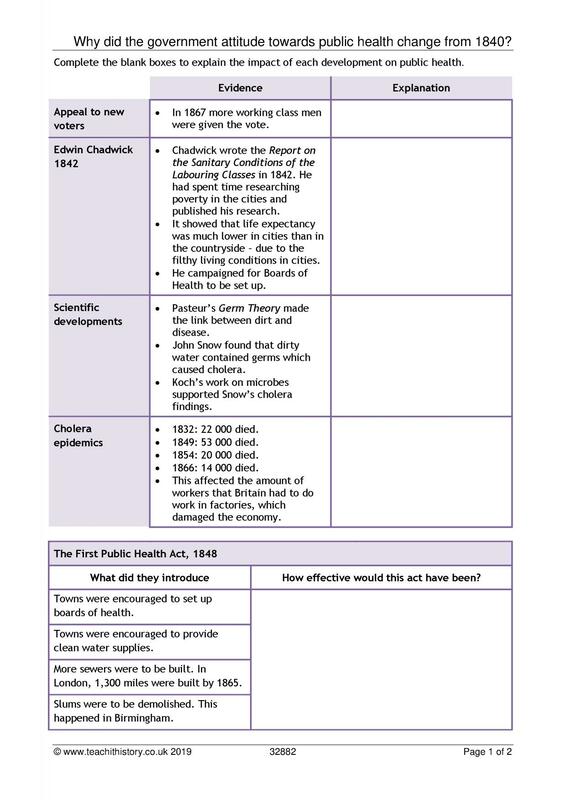 Why was public health so poor? 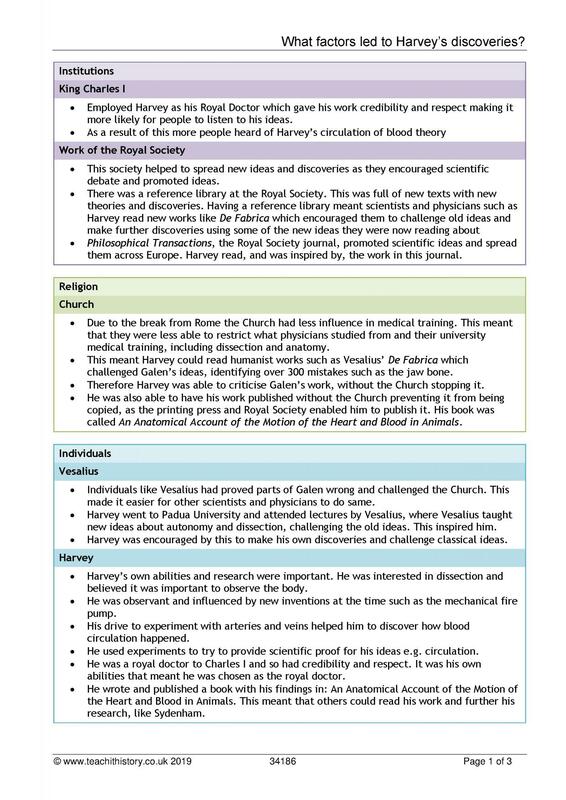 What factors led to Harvey’s discoveries? 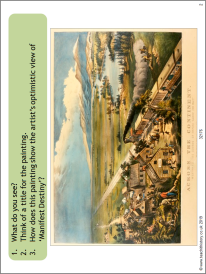 What can paintings tell us about Manifest Destiny? 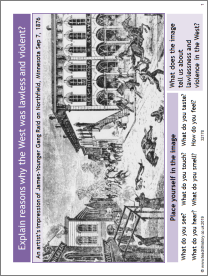 To what extent did care givers change during the Renaissance period? 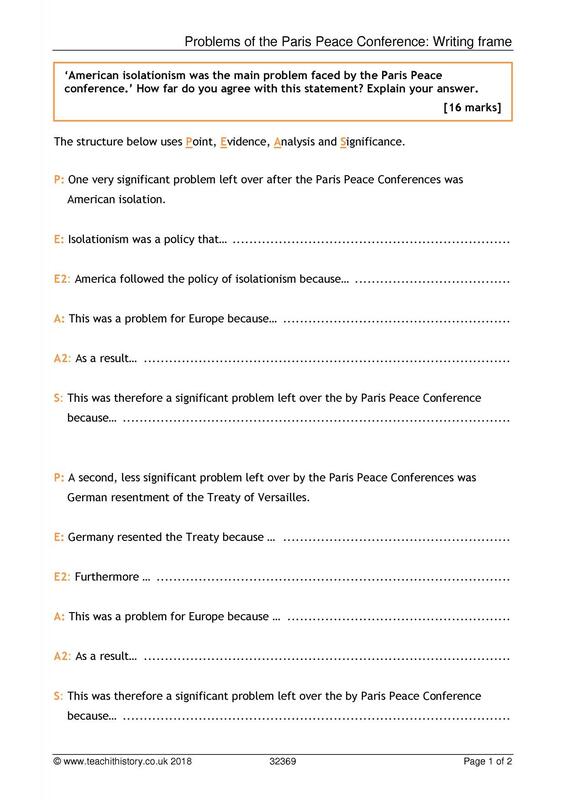 Is your answer a capitel one? 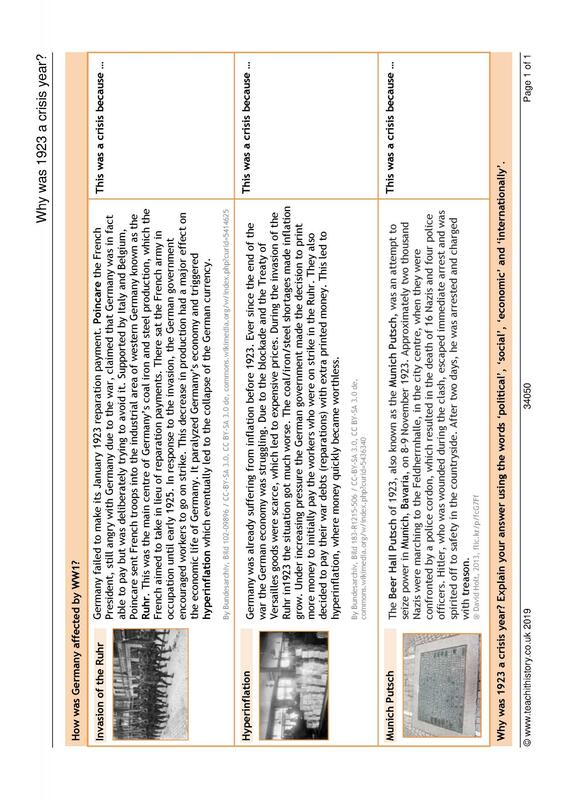 What were the causes and consequences of the 'Indian Wars'? 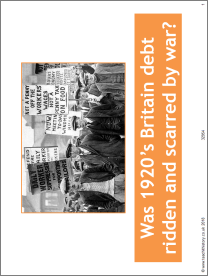 Was 1920s Britain debt ridden and scarred by war? 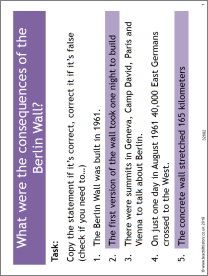 What were the consequences of the Berlin Wall? 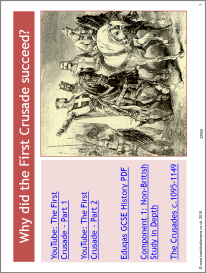 Why did the First Crusade succeed?